View Square Footage Costs & Price Averages or find recent SOLD info, aerial imagery, revenues and more using our Orange Beach condos for sale page. Orange Beach is full of a variety of waterways, from Perdido Pass to the Old River to Bayou St. John. As Orange Beach is a coastal town, it is unsurprising that there would also be a numerous lakes of various sizes in portions of Orange Beach. 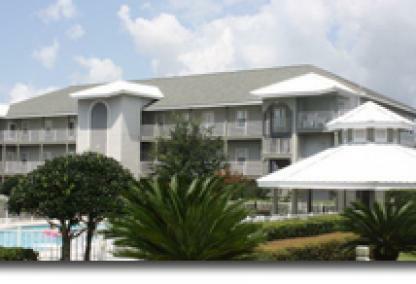 Some condominiums, like Romar Lakes, sit right on these lakes and within walking distance to the Gulf of Mexico. Amenities at these condos often includes something most Gulf-front condos do not have: private piers going over the water, from which residents can enjoy the sunset or even try their hand at fishing. This, in addition to having many of the same amenities as the Gulf-front condos, make lake-front condos in Orange Beach a popular choice when choosing a rental property or even a second home. Interested in Gulf Shores or Perdido Key condos? We've published pages for each city that display all condos for sale. Gulf Shores is the most well-known city and in the news a lot, but Perdido Key condos and Gulf Shores condos offer great options and opportunities for owning the perfect condo at the beach.